Whether its pioneering work in the psyche, heading her Global Healing Ministry, bringing out her landmark discoveries in global conferences, writing books, facilitating healings, leading trainings, or expressing her musical talents, Aurora Juliana Ariel possesses the proverbial Midas touch. Her brand of alchemy is the sacred sort, yielding a gold one can only discover within. Pioneering doctor and scientist, author and musician, entrepreneur and producer, mystic and healer, Aurora is a Renaissance woman for the New Millennium. #1 Bestselling Author, Creator of The Quest, and Award Winning Author of the Earth 2012-33 series, Aurora is a pioneering doctor whose research and work have given her a profound understanding of the psyche and the tools to heal an ailing humanity. She has successfully healed conditions once thought incurable, irreversible or unchangeable, releasing countless individuals from life sentences of suffering. A living testimony of her own work, she is now sharing her Alchemical Keys with the global community, helping others realize a Higher Destiny than the fate their human programs would dictate. Aurora was awakened in her teens to a planetary conscience that inspired her mission and dedicated her life to the healing and advancement of humanity. At that young age, she received an extraordinary Divine Sponsorship that helped guide her destiny, giving her a vast body of knowledge, deep understanding of global conditions, their underlying causes and remedies, and an exceptional healing ability that has resulted in countless transformed lives since she was 16. 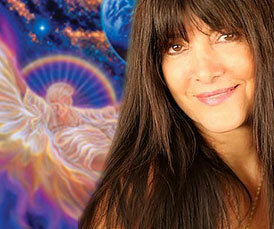 Aurora holds over 38 certificates and degrees in advanced healing methods as well as a BA, MA, and PhD in Psychology. She is also a Kahuna in the Hawaiian Tradition, successor of Shaolin Grand Master Pang in the Morna Simeona Lineage. Catalyzed by her mother's severe mental illness over 36 years beginning when she was 19, her quest to find the cause of suffering led to a cure in her revolutionary breakthrough psychological healing system. Under the direction of Mother Mary, whose appearance with the scent of roses initiated her divine sponsorship of Dr. Ariel’s life’s work in 2000, she founded the Temple of Sacred Alchemy. Inspired to translate the powerful healing technique she had developed as Sacred Alchemy into an application that would be readily accepted worldwide, TheQuest was born. In 2003, She opened the Temple’s first division, the Institute of Advanced Healing to interface with the public and bring out TheQuest worldwide. In 2005 she created a model chapter to showcase how TheQuest could serve communities around the world. Distilling TheQuest into a seven step counseling technique that is easy to apply, she is now passing this breakthrough technology to the layperson as well as training practitioners worldwide. Intent to have it available for everyone who needs it, she released her book, TheQuest: Heal Your Life, Change Your Destiny on Christmas 2009, gifting the ebook FREE FOREVER via her websites. Working with countless clients over many years with miraculous results, Dr. Ariel's landmark discoveries inspired the development of a complete Self Healing System, Advanced Healing Protocols, a monthly Global Healing Forum, rehabilitation models, courses and programs that are transforming lives, actualizing potentials, and helping individuals worldwide become free of the human conditioning. Her pioneering work provides a 'missing piece' that can greatly increase the success rate at programs and centers worldwide, leading humanity out of the Dark Night of endless suffering into an Age of Freedom, Enlightenment and Peace. From 2009 – 2012, she developed rehabilitation models that can be implemented in prisons, rehab centers, mental institutions and programs for abused women, youth at risk, and veterans with PTSD. In 2012, she founded TheQuest University to host her 7 level certificate training courses, programs, events and forums. Inspired to translate her knowledge into healing, life transforming multimedia productions, Dr. Ariel produced Quest for Truth, a highly successful and well received 7 year weekly prime time television series in Hawaii. She then set up AEOS, her Hawaii based multimedia company, releasing a first 34 products in seven collections of healing inspired music, books, and audio CDs in 4 years, including her award winning first book, Earth 2012-33: The Ultimate Quest, which highlights TheQuest as a remedy for a world in transition. To date she has authored and produced over 100 products, including 10 books (2 co-authored), produced and narrated 67 audio CDs, and produced 16 healing music CDs, 15 of which she co-composed and sang on. Curently she has countless download products and programs available and a host of new CDs coming out soon. A host of exciting music, books, audios, DVDs and films are soon to follow.